Costs for Malaysians to study abroad in Ireland can be considerably high especially for science subjects. Luckily there are a number of scholarship and funding options available. Read our breakdown of three key scholarships to help kick start your study in Ireland. The Irish government awards a quota of scholarships to international students each year that are given directly by your host institution or awarded in partnership with another body. These awards are granted based on academic merit and welcome applications from students across a range of study areas and degree levels. Almost all Irish universities have a number of scholarship options for international and local students enrolled in one of their study programmes. Sometimes, these are awarded in relation to another body, such as the Irish government or an organisation that is focused on a specific study area or skill set. Students are advised to consult their host university for potential funding options as generally they will be tailored to your needs. You have the option to search for funding from an external company or funding body. This type of funding is more subject-specific. Go onto online scholarship search engines such as Scholarship Times and Scholarships 4 Development. Otherwise, search for a company directly and see on their website whether they have funding options for international students. Awarded by the Irish Research Council, this award seeks to encourage innovative Postgraduate research undertaken in Ireland. Full time Masters and Doctorate research students from any country studying in any discipline at any Irish higher education institution are eligible. Click here to find out more. Awarded annually, this scholarship is open to international students to cover the final year of Bachelor study or one year of a research based Masters or Doctorate programme. Students from any Irish institution are eligible and can be enrolled in any study field. Funds are awarded based on academic merit. The scholarship is normally valued at €10,000 per year, covering living expenses, student costs and tuition fees. You can apply directly to your host institution. Institute of Technology Sligo, Galway-Mayo Institute of Technology (GMIT), and Letterkenny Institute of Technology (LyIT) have launched the My Experience RPL (Recognised Prior Learning) Assessment Toolkit. The toolkit includes an information website and an online RPL application tool for candidates looking for access or advanced entry to a higher education programme. In addition, a free open online course has been developed for Higher Education staff seeking professional development in RPL assessment skills and supporting RPL applicants effectively (http://cpd.learnonline.ie/). 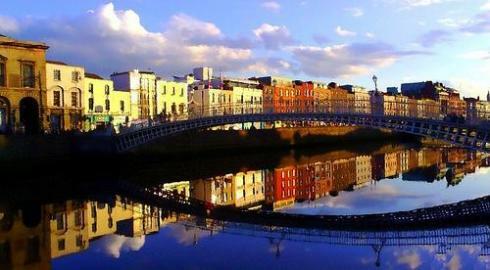 When I first started thinking about furthering my studies I never could have imagined I would end up in Ireland. Leaving home to seek a new adventure can be a scary prospect especially if you are like me and have never travelled overseas alone. I told myself, “life begins at the end of your comfort zone” and I couldn’t have been more right when it came to choosing a study abroad destination. Ireland has been a fantastic experience so far and one that’ll I’ll never regret! Ireland ticked all my boxes and the Institute of Technology Carlow was my first choice. IT Carlow has become part of an international network of just 10 education providers worldwide involved in the newly-launched Air Transport and Aeronautics Education and Research Association. it’s normal to be apprehensive about studying abroad and there are many Malaysian students studying here in Institute of Technology Carlow sharing similar experiences. Before I arrived here, I wondered how I would adapt and if I would like the country, the people and the city. Coming from a tropical country, I wondered how I would manage the cold weather and worried about understanding my classes and achieving good grades. I had so many questions and despite repeating “you’ve got this” to myself there was still a tiny voice in the back of my head saying “do you really?!”. It was quite a challenge to choose the right country for me that met my academic needs. My destination demands included an English-speaking country with friendly people, a reputation of excellence in education and without doubt a place that would offer the opportunity to travel around easily! Travelling abroad… it’s about pushing your limits and venturing beyond your comfort zone, gaining new experience and adventures. It’s about learning and finding yourself. Ireland ticked all the boxes on my list and the Institute of Technology Carlow was my first choice. IT Carlow has become part of an international network of just 10 education providers worldwide involved in the newly-launched Air Transport and Aeronautics Education and Research Association. 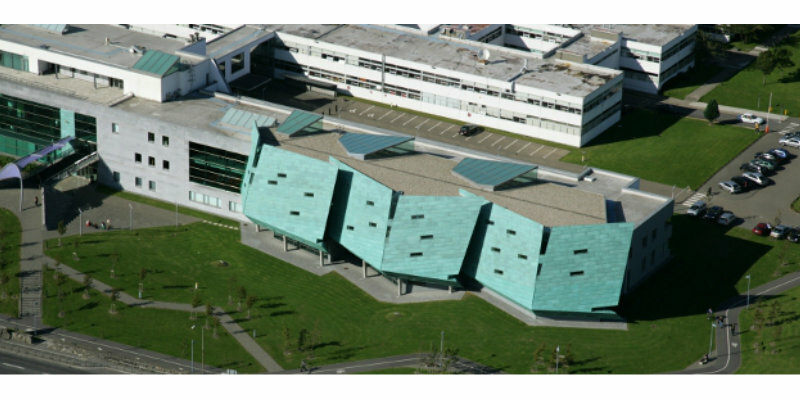 The college also has opened a €5.5m aerospace facility earlier this year. What more could I ask for? It’s a huge honour for me to be a part of this organisation. Arriving a week before the start of my semester was terrifying. My first few days were really hard. I struggled to understanding the Irish accent (they talk really fast and even admit it themselves!). Getting the know a new city, culture, grade scales and coming to terms with assignments, group work, managing monthly expenses and brand new technical terms – you can only imagine how tough all this was for me. Luckily I had a few people helping me out and I received an especially warm welcome from the International department at IT Carlow and my lecturers. The staff here were incredibly helpful and their friendliness is, for me, one of the best things about studying here. The IT Carlow orientation events were also a great way to meet other international students. Studying in Ireland will be an educational experience I’ll always treasure. And yes it got easier! My life in Ireland is now fantastic. It took me some time to reach this point, but I am happy and confident here. IT Carlow offers a wide range of courses and I have the opportunity to learn different modules that widen the scope for my career in the future. With the reasonable cost of living, I have the opportunity to travel across Europe during my free time. 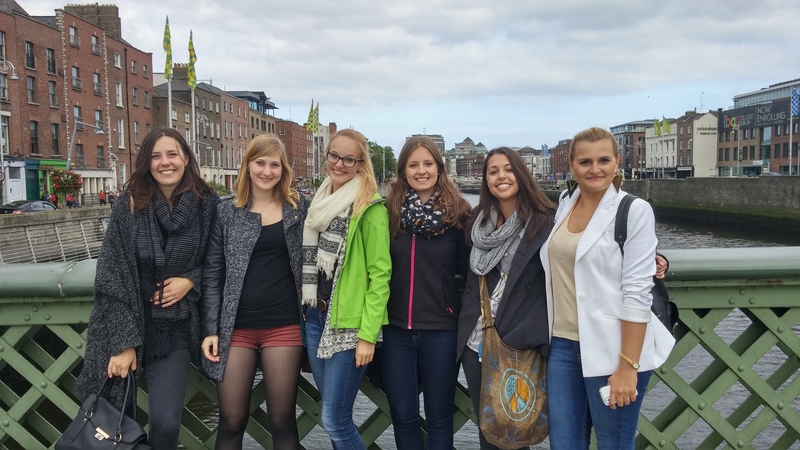 Studying in Ireland also gives me the chance to meet new friends from across the world and learn new languages. Travelling abroad is not as tough it sounds, it’s about pushing your limits and venturing beyond your comfort zone, gaining new experience and adventures. It’s about learning and finding yourself. It has made me more responsible and mature when it comes to decision-making. Studying in Ireland will be an educational experience I’ll always treasure. A group of students from CIT have just returned from Southampton, England after taking part in an innovative programme aimed at encouraging a culture of entrepreneurship among students from a range of disciplines. Entitled ‘European Creative Futures’, this Intensive Programme was hosted by the Southampton Solent University to bring together students from five European countries with the aim of promoting business acumen and entrepreneurial know how among students intending to pursue careers in the creative industries. This week long programme of intensive study and practical learning allowed 40 students to share experiences, points of view and learn together about entrepreneurship in the creative fields. The thirteen CIT students, hailing from the Bishopstown campus, the CIT Crawford College of Art and Design and the CIT Cork School of Music, came from a wide range of courses of study including Public Relations, Fine Art, Multimedia, Agriculture, Music, Journalism, Business Information Systems and Business. They were joined by 27 students from similar backgrounds from Finland, Norway, UK and the Netherlands for the programme. From the outset, the students worked in small multi-discipline, multinational groups generating business ideas with a view to developing new products and services in the creative industries sector. Students learned by doing through a series of interactive lectures, group discussions and workshops and live case assignment. Some business ideas established in the limited time frame included: Safeaty- a smartphone app that reads the ingredients on food packaging to translate language and terminology such as E-numbers; Pocket Sunshine – a spray that produces healthy substitutes to energy drinks and shots; Bioall- a biofuel company that distributes biofuel which comes from algae; Skill IT – a smartphone that app that allows users to exchange and trade talents or skills they may have; Create – an attribute search engine that allows creative people to design their portfolio and Self brand; The Box – A haven of escapism away from the outside world. It is a place to relax and release stress. The Box is a soundproof space with relaxing environment. Ensuring it wasn’t all work, the UK hosts organised a full schedule of social and cultural activities for the students which included a ‘Music Night ‘, ‘Diner Pensant’ and a trip to ‘Sea City’ Museum where the Titanic Southampton experience was enjoyed by all. “It was a very positive experience for students that focused on learning by doing through workshops and assignments. The programme took them out of their comfort zone and gave them an understanding of their own creative capacity, working in an international team and the opportunities of collaborating with others across Europe in the future to start enterprises and build clusters” said Gerard O’Donovan, Head of Faculty of Business and Humanities, CIT. Standing (L-R) Gerard O Donovan, Head of Faculty of Business and Humanities, CIT, CIT Students: Amber Kaier, Stephanie Ernst, Gerard McCarthy, Lorna Gardiner, Jack Dee, Louise Guiney, Gerard Horgan, Alexis Bannerman, Stephen Quirke, Emmett Coffey, Department of Media Communications, CIT. Front Row (L-R) – Will Tomao, Brian Twomey, Diarmuid O’Callaghan and Sean Cronin. Alexis Bannerman, Fine Art Student and Brian Twomey, Business Administration Student enjoying the team building event. ECF students getting ready for their final presentations. 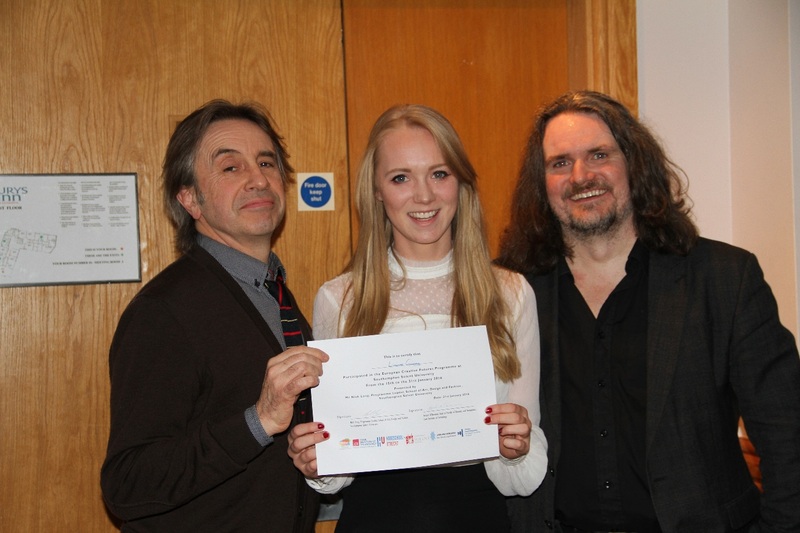 Louise Guiney, Journalism Student, CIT receives her ECF Graduation Certificate from Nick Long and Bob Burke, Southampton Solent University. 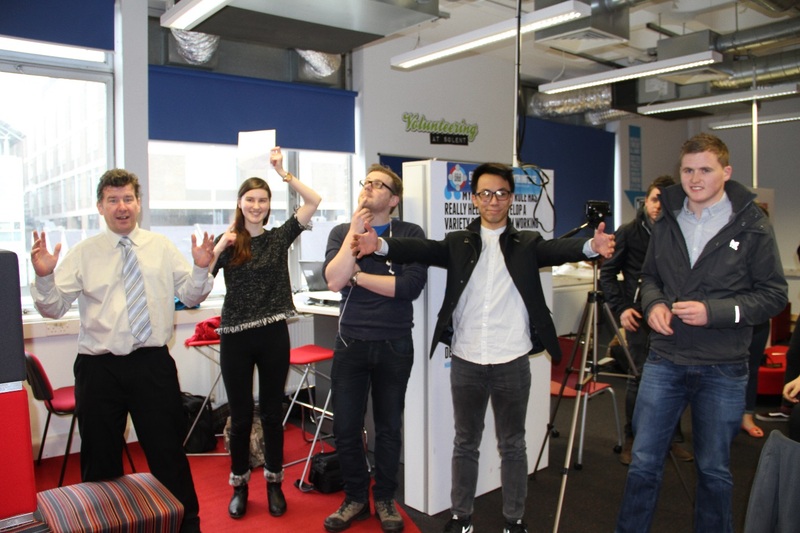 (L-R) ECF Students: Brian Twomey, Amber Kaier, Minh Hieu Doan, Andrius Rekasius and Gerard Horgan. Gach bliain tugann Dámhachtainí an Uachtaráin aitheantas do na mic léinn sin a bhaineann an scoth amach in imeachtaí seach-churaclaim, imeachtaí a chinntíonn gur áit spleodrach, shuimiúil, dhinimiciúil agus dhaonnúil é UCD le cónaí ann agus le hobair agus staidéar ann chomh maith. Iarrtar ar fhoireann agus ar mhic léinn UCD iarrthóirí a ainmniú le haghaidh na ndámhachtainí sin. The President’s Awards each year provide recognition for those students who excel in extracurricular activities of a kind that make UCD an exciting, interesting, dynamic and humane place to live, study and work. Staff and students at UCD are invited to nominate candidates for these awards. Eithne Dodd‘s long running contribution to student life and her incredible dedication and organisational skills have contributed hugely to the smooth running and success of anything she has been involved with. Most notably Eithne has been part of the rejuvenated LitSoc committee which has been turned around into an incredibly diverse and active student society, which ultimately culminated in it winning small society of the year and publication of the year at last year’s Society of the Year Awards. Eithne was key to this achievement and was in charge of the winning Caveat Lector publication. She is a writer and then two-time section editor for the University Observer. Aoife Doyle was auditor of FilmSoc, one of the largest societies on campus, and impressed with her dedication, commitment and generosity of her time and self to the society. 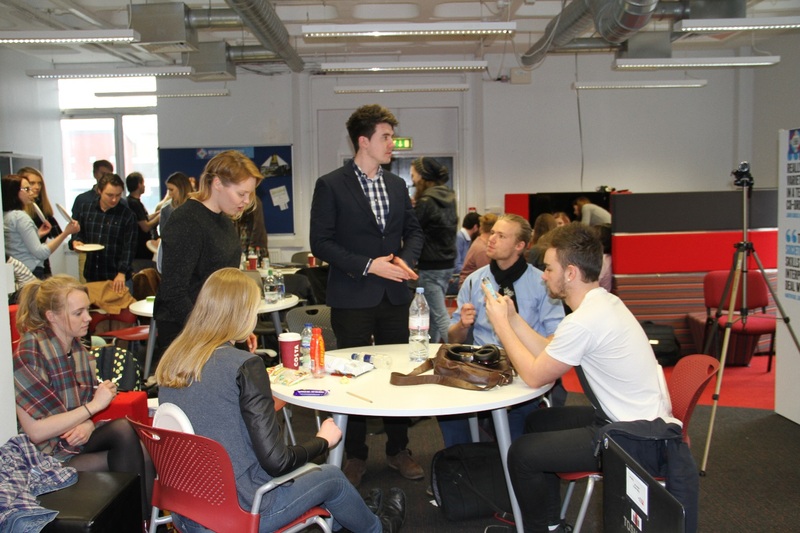 Events such as the film festival week and the various social occasions were a fantastic way for students of all areas to get involved with college life and provided a platform for the film society to continue encouraging inclusiveness and embracing students of all backgrounds. Tiarnán Fallon Verbruggen is an Ad Astra Performance scholar and has taken part in several performances with the Ad Astra Academy. 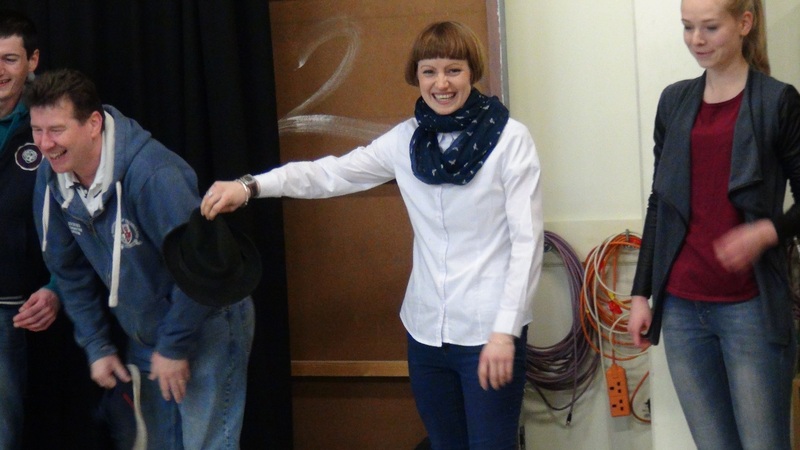 He has worked tirelessly for many years to uphold a high standard of acting and set design with Dramsoc. He has won an Irish Student Drama Association Award for Set Design and has been nominated in the same competition for Acting. Tiarnán has designed the set for two Leaving Cert Shows, the biggest show of the Dramsoc calendar, which is attended by over a thousand Leaving Certificate students each year. Tiarnán is currently the auditor of the Pediatric Society and has successfully run several Teddy Bear Hospital events, which aim to make medical experiences less daunting for children by teaching children to perform examinations and procedures on their teddy bears. James Green, while Auditor for the Law Society revolutionised it in two key ways. The first is that he made it successful at debating. It was he who revitalised LawSoc to the extent that it is now the dominant debating force in UCD. Before James’ year it was common for debates to attract less than 15 observers a week. He packed out Theatre L numerous times by bring in new and exciting guests, changing how debates were advertised and picking incredible topics. During the 2015 year James became the auditor of the UCD Law Society and turned a society that in the past had plainly not reached its full potential into the society of the year in an ethical, responsible, and professional manner. This academic year as welfare officer of the UCD branch of SVP he has been in contact with those most in need in the local area. Further, as a central committee member he had been involved in the running of the events of the society. Cian Leahy is a Medical student and, despite his demanding course, he has been a leading example to anyone who wishes to get involved in society life. As treasurer of the 160th session of the L&H in 2014/15 he made a conscious effort to make debating more accessible, and to include and train freshers. Furthermore, he has represented the university on an international stage to a great degree of success. From soup runs, to house debates, to DramSoc freshers projects, Cian is a familiar face to so many on campus. Aside from debating, Cian has been heavily involved in the charity side of UCD societies for the duration of his time here. In 2015/16 he served as SVP‘s first Social Justice officer. In this role he succeeded in mobilising a group of interested members by organising regular meetings to highlight the problems that surround us. Additionally Cian has volunteered with UCDVO on two occasions. Eoin Mac Lachlan In addition to his successes representing UCD as a competitive debater (European Semi-Finalist 2016, Irish Times Champion 2015) Eoin served as auditor of the Literary & Historical Society in 2014/2015, one of the more successful recent years seen by the society, all while maintaining academic excellence as an Ad Astra Scholar and recipient of the Butterworths Prize and Fordham Law Summer School Scholarship. Eoin went above and beyond in service and leadership, epitomising the best values of UCD in his founding of the Outreach debating programme. Outreach seeks to develop communication and public speaking skills amongst disadvantaged students in DEIS Schools through debate, giving a voice to some of the most vulnerable students in Ireland. In its first year, 2013, Outreach reached 130 such schools, with that number now doubled. By helping these students find their voices, and facilitating them in expressing their points of view, thoughts and feelings, Eoin and Outreach have made a real difference. Clíodhna Ní Chéileachair is one of the most successful UCD competitive debaters in recent history, and in all her successes (Irish Times, International Mace Champion, European Semi-Finalist) she has always represented UCD impeccably and enthusiastically at home and abroad. Further, she has inspired a generation of new UCD students to take up debating in her role as UCD’s debating coach, with these new recruits cutting a swathe through the debating circuit Novice competitions. Her commitment to supporting other speakers in their personal development and competitive success, as well as her talents as a debater and her drive for self-improvement have been recognised at home and abroad. She has been appointed coach of the Irish World Schools debating team for secondary school students, served as a judge of the World Universities Debating Final 2017 in the Netherlands, and as a training Consultant for the European Champtionship 2018 in Scotland. Through all this, she has kept up an intensely high standard of academic achievement, starting as a UCD Academic Entrance Scholar in 2012 and receiving a Stage 4 Scholarship in 2016. Clíodhna is an object example of committment and dedication in all aspects of her UCD life. Ciara Wallace From the very start of her time in UCD, Ciara became involved in extracurricular activities which she cared deeply about. Her interest in social justice extends far beyond her course and in first year she joined UCD SVP Society, becoming a dedicated volunteer on weekly soup runs. From there she became a soup run rep, a committee member and is current auditor of the society. As auditor, Ciara has brought her enthusiasm and energy to every aspect of committee work. She is especially encouraging of new committee members and volunteers. As a class rep, Ciara has shown dedication to improving UCD life for all students as well as leadership and support to her class. Her selection to sit on the Finance committee this year is a result of that dedication. 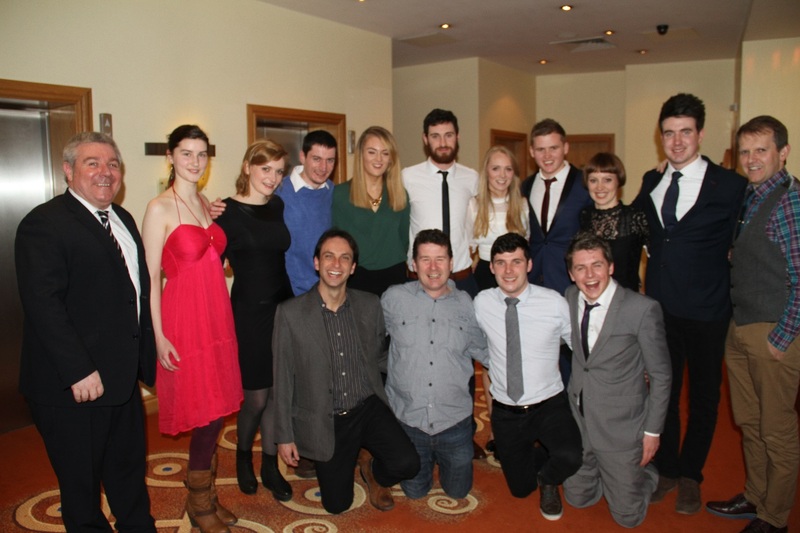 Ciara was PRO on the committee of the Economics Society which had a very successful year. Continuing her interest in global affairs and leadership, Ciara took part in the Model United Nations in New York with Lawsoc. She also volunteered with UCD access centre’s student tutoring grinds as well as with L&H outreach. Through her generosity with time and talents, Ciara has made a very valuable contribution to UCD life. Philip Weldon is creative, hard-working, resourceful, dedicated and a brilliant leader. He has done marvellous work on behalf of the LGBTQ+ Society during his time as auditor. He is unbelievably committed, and focuses an amazing amount of time and effort on ensuring the society is performing to the best of its abilities. He cares very deeply about improving the quality of student life for LGBTQ+ students and is constantly working towards that goal. He has turned around the LGBTQ+ Society and with, Philip as auditor, the society is working with the UN on their Free & Equal campaign and hosting a ball. In one week the society hosted seven events varying from coffee mornings, to movie screenings, to a favourite ‘Coming Out Story Night’. The society is collaborating with the SU for Rainbow Week and Seachtain na Gaeilge, and has worked with PleaseTalk, GLEN, ShoutOut, Enterprise (Rent a car) and Arthur Cox and more. Philip juggles his role as auditor of one of UCD’s most active societies with his masters and his job in H&M. He never says no to a challenge and will see it through to the end. He is extremely dedicated and no doubt carry on with strength until the end of the year. I became so much more independent, something I think a lot of American college students miss out on. One of the things I appreciate the most about Trinity is the fact that they don’t coddle you. It’s on you to study, to show up for classes, to find accommodation and to ask for help if you need it. The support services at Trinity are second to none, but at the end of the day it’s up to you to take advantage of them and to push yourself to succeed. While it was intimidating at the time, now that I’m finishing up my time here I feel so confident that I can go out into the real world and take initiative. I think this is a big reason so many entrepreneurs come out of Trinity. Going to Trinity taught me how to push myself and to earn everything I accomplish.